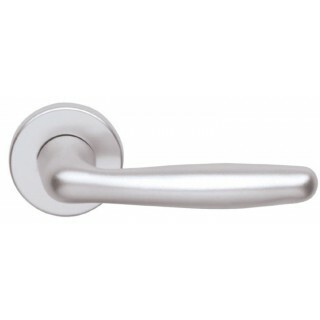 Interior door handle Ghidini aluminium Itaca series on round roses. The best seller for excellence is the Itaca series: modern, economic and guaranteed. 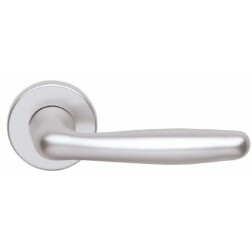 Constructed of aluminum with return springs reinforced, with rosettes and escutcheons of diameter 45 mm. The handgrip is squared with a thickness of 10 millimeters. 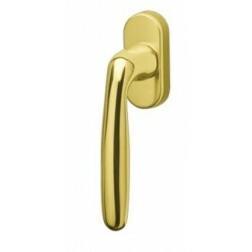 A value for money unparalleled considered the accurate manufacture of components and uniform finish that covers it. At the bottom between the accessories you will find same model for your windows. Price is for a complete pair with mounting accessories, all boxed in its original packaging Hoppe.